From 1988 to 1990, I lived in Southern California and it was during that time that I discovered Tower Records. I would play discs on my first CD player – an Aiwa, a company that doesn’t exist anymore and ironically Colin Hanks’ documentary “All Things Must Pass: The Rise and Fall of Tower Records” is about an American company that doesn’t exist in America anymore – although there’s 85 Tower Records stores in Japan still. How sad and ironic, considering the store was more than just a place that sold books and records for so many, including myself. At least once a month, my friends and I make the hour-long drive up the 10 and make our way to the Tower Records on Sunset and Horn Ave. and unload our saved cash on albums (LPs, cassettes and CDs), after spending hours in the store. It was like going to a museum, a library and a shrine, all in one. 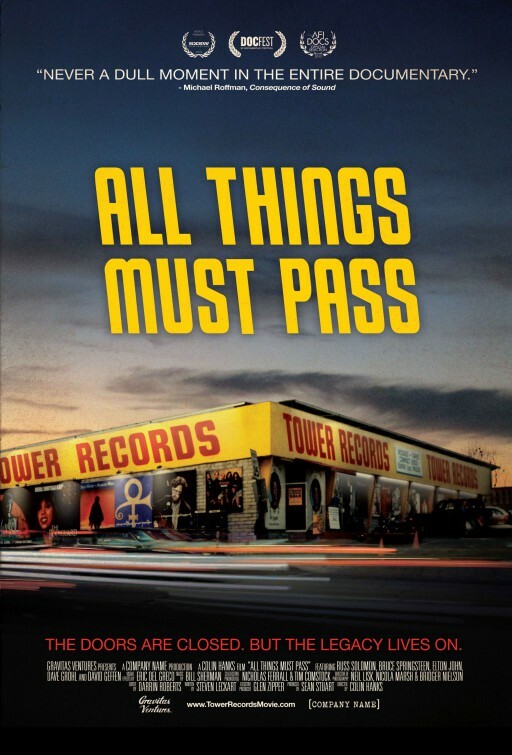 “All Things Must Pass” tells the story of how Tower Records came to be in 1960 out of Sacramento and why they went out of business in 2006. Many probably think the birth of Napster or the MP3 killed Tower, but it’s actually more complicated and a lot less romantic than that, but nevertheless quite tragic. Tragic for the millions of customers fans and, as this documentary reveals, tragic for founder Russ Solomon and all of his employees who were entry-level when the store first started taking off in the late 60s in San Francisco. 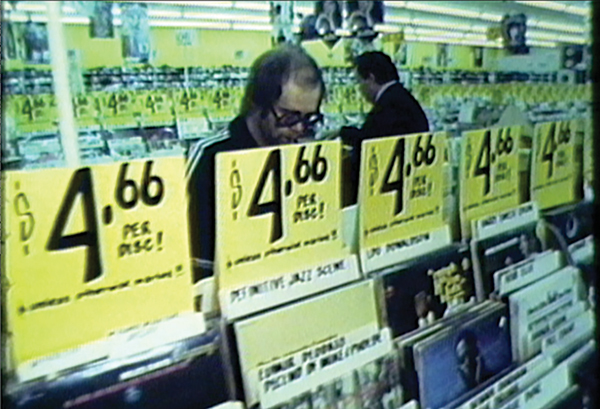 Hanks’ film affectionately tells of the record store’s legacy, offering tributes and fond recollection from the likes of David Geffen, Bruce Springsteen, Elton John, Dave Grohl and the various managers who worked at the stores that started on the west coast and eventually went international with its Japan locations. 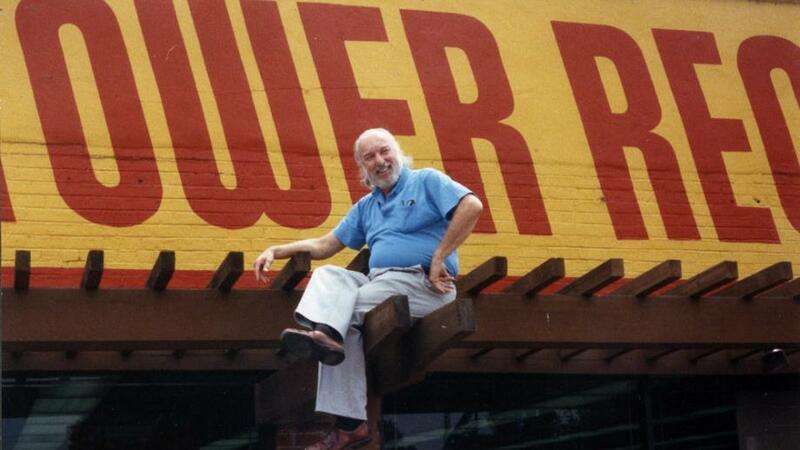 At one point, Tower Records was the record store that all record stores modeled their stores after or wanted to be. Long before Wal-Mart, Target, Circuit City and Best Buy saturated every town, people would go out of their way to get to a Tower Records. Tower Records was special. You knew it walking into it for the first time and whenever you returned, it was like going home. You were surrounded by people like you at Tower (as we affectionately called it) – those with the same interests and those who longed to discover new music – it didn’t matter how old they were or where they came from, because you were all on the same level at Tower. It was a haven and a heaven. I can’t even begin to list off the amount of bands, musicians and soundtracks, I discovered because of Tower Records – nor I can I fathom the amount of money I spent at the store. Imagine going to a record store – I know they’re all but extinct now, but just go with it – and you’re flipping through records and you look up and there’s Eric Clapton or Pete Townshend or Elton John in a track suit piling albums in a box his chauffeur is holding (the Sunset Strip store would open early every Tuesday at 8am, just for Reg). That might have happened to you back in the 70s in West Hollywood on the Sunset Strip and it wouldn’t have been that big of a deal. The documentary tracks the store’s history – from a section in Solomon’s father’s Sacramento drugstore to stores in the UK, South America and Thailand. Music fans would go just to hang out at these stores, especially once the surly and snobbish employees – like Steve Gorman, Rudy Danzinger, Mark Viducich and Heidi Cotler – got to know their tastes, building a friendship that was founded on a culture of music appreciation and a collection mentality. Hanks uses archival footage that feels like peering into a time capsule and exclusive interviews with former staff and celebrity customers. “All Things Must Pass” may seem strange and weird to be paying respect to a dead retail store, but the goal here is to enlighten viewers what was so unique and special about Tower. Viewers such as myself will already know this and will spend over 90 minutes waxing nostalgia and maybe learning a few new things here and there, but it’s safe to say there was never ever a store like it nor will there ever be.